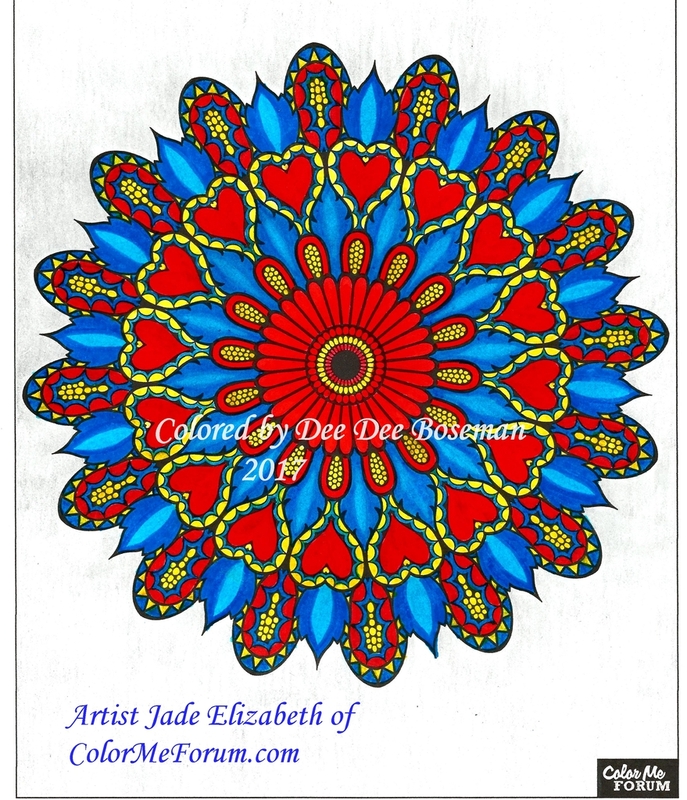 Trying something different with this mandala, I hope you love it! This is a great page! It's a beautiful design but isn't so intricate that you need a magnifying glass. The areas were comfortable coloring with colored pencils and water based markers.